we have some MAD offers on our Wonderland character stamps. There is a massive 45% OFF when you buy all six sets. And a fantastic 25% OFF when you buy them individually. These prices are madder than a Mad Hatter’s tea party. 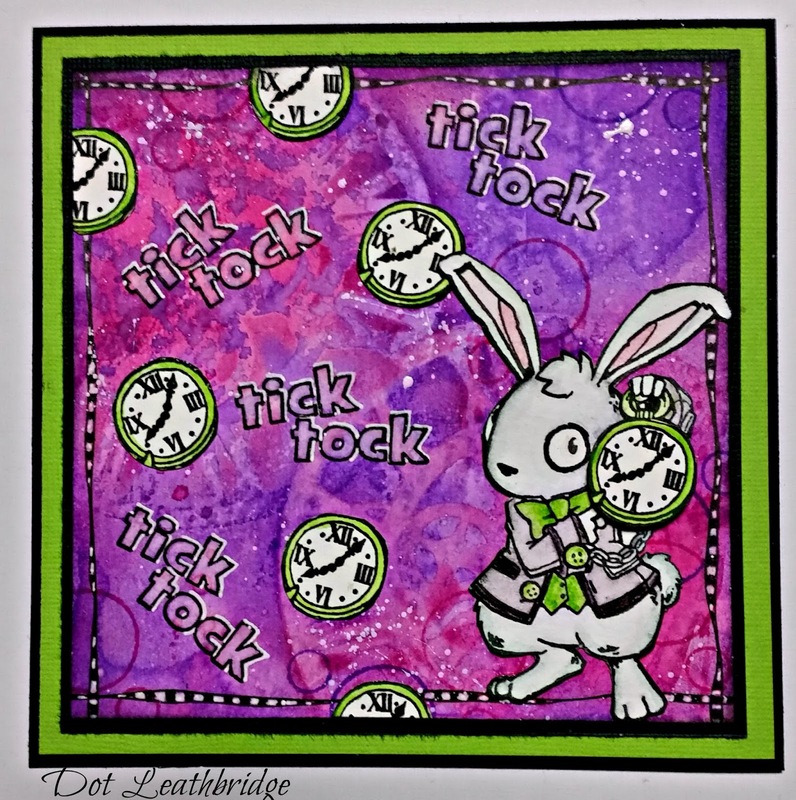 Visible Image have a wonderful range of fun stamps to choose from that are modern and quirky around this theme. With some great sayings to go with them. Fabulous Alice themed piece Dot, love that gorgeous background! He is rather a cutie Dot I just want to cuddle him. Great card.